Cascade Tree Works boasts ISA Certified Arborists that are recognized and endorsed by the International Society of Arboriculture (ISA). The ISA is a globally recognized professional organization dedicated to industry development, research, and preserving the integrity of arborists worldwide. ISA Certified Arborists are the best in their field and are committed to professional development and leading the industry through implementing best practices in the work they do. The ISA certification is a voluntary certification sought out by professionals that want to set themselves apart by committing themselves to continued education in the profession. The ISA credential was created to help consumers identify qualified and trusted arborists in their area. When you choose Cascade Tree Works for tree trimming, tree removal, and tree preservation services you are getting ISA Certified Arborists vetted by the leading professional arboriculture organization in the world. Through the ISA credential, our valued customers can be confident that they are truly getting the ultimate in service from an arborist that is passionate, skilled, and reputable. Once an arborist becomes ISA certified this designation is not permanent. ISA certified arborists must recertify every three years and there are two options for retaining the certification. ISA certified arborists can complete a designated number continuing education hours in addition to a service fee, or they can retake the ISA certification test to remain certified. The ISA certification test is redeveloped regularly to ensure it encompasses today’s industry best practices as these change as new developments emerge in the field. The recertification process implemented by the ISA is to ensure that those with this certification are actively engaged in their professional development, and are role models for arborists around the globe. Picking the right tree trimming company in Greater Vancouver, WA to maintain the health of the trees on your residential or commercial property is an important decision made easy through the ISA certification. 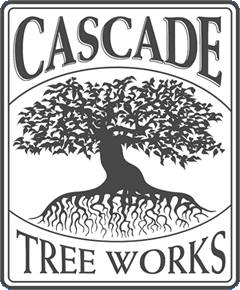 Whatever your tree trimming, tree removal, and tree preservation needs, Cascade Tree Works would love the opportunity to provide you with professional service from enthusiastic and competent ISA Certified Arborists. For more information about our ISA Certified Arborists, call now. We are also happy to answer any questions you may have about our reputable tree trimming services. Don’t settle, call upon our certified professionals dedicated to being the best they can be.